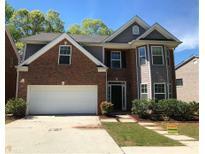 Find Dacula, GA Homes for sale. View Photos, Maps and MLS Data Now! Peachtree Shoals - Short Walk To Rabbit Hill Park. MLS#8565778. Realties - Usa. This Home Is Well Maintained And Has Many Other Beautiful Features. Come See It Today! MLS#8564402. Gt Realty Inc.. 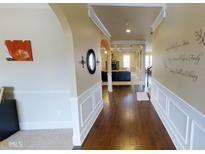 Finished Basement With An Exercise Room, Rec Room, Wet Bar, Full Bathroom And 2 Bedrooms. MLS#8562030. Keller Williams Rlty Atl.Partn. So Much Home For The Money On The 10Th Hole At Apalachee Farms *Finished Terrace Level With Second Family Room, Media Room, Bedroom, Full Bath, And Storage * New Gleaming Hardwood Floors *Master Retreat On Main * Bright Spacious Chef'S Kitchen Opens Into Vaulted Fireside Family Room * Formal Living Room/Study Plus Banquet Sized Dining Room*Large Secondary Bedrooms On Upper Level* Oversized Laundry Room W/ Tons Of Storage*M, Full Bath, 2 Family Rooms, & Plenty Of Storage * Full Back Of House Has Beautiful Golf Course Views * Meticulously Maintained! MLS#8560007. Property Sellutions. Magruder Crossing - Bonus Up And Separate 2 Car Garage With Driveway. MLS#8558255. Lamplighter Realty, Llc. The Del Mar Club - So Many Possibilities For The 1555 Sqft Unfinished Basement; Perfect For Any Family! MLS#8553914. Charlene Lee Realty. Enclave At Hamilton Mill - Will Not Disappoint, Come Out A See – This Is What Luxury Looks Like. MLS#8553665. New Century Real Estate Group. Glens At Appalachee - Jump On His Opportunity Today! Photos Coming Soon! MLS#8553482. Virtual Properties Realty.Com. Great Location And Access To Shopping And Schools. MLS#8552223. Remax Town & Ctry-Downtown. All This Home Needs Is Your Decorative Touch. MLS#8547849. Keller Williams Rlty Atl. Part. 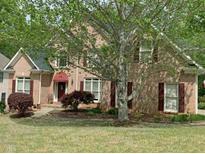 Flint Hill - Perfectly Located With Quick Access To 316 & Hwy 29, Shopping And Top Rated Dacula Schools. Love Where You Live! MLS#8546499. Southern Classic Realtors. Harbins Landing Estates - Swim And Tennis! (File Photos). 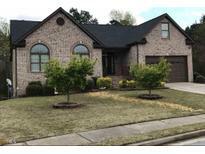 Move-In May 2019 MLS#8545316. Park Place Brokers Inc..
Ashton Wood - Finished Basement Is The Real Gem: A True In-Law Suite Complete With Separate Laundry & Full Kitchen! MLS#8544713. Knock Homes Llc. Charleston Place - Stunning 4 Bed/3 Bath Ranch Home * Mill Creek School Cluster * Cul-De-Sac Lot * Fireside Great Room * Vaulted Ceiling * Wood Accent Wall * Formal Dining Room * Chef'S Kitchen * Granite Counters * Stainless Steel Appliances * Breakfast Area * Walk-In Pantry * Owner'S Suite * Large Walk-In Closet * Spa Bath * Separate Shower * Soaking Tub * Huge, Upper Level Bonus Room/Teen Suite * Finished, Daylight Basement * Game Room * Media Room * Kitchenette * Full Bathroom * Workshop * Screened-In Porch * Deck * Fire Pit Area * Large Private Lot * Irrigation System * Swim/Tennis Neighborhood MLS#8542849. Exp Realty Llc. Fairmont On The Park - All You Need To Do Is Unpack MLS#8541523. Crye-Leike, Realtors. Upstairs Along W/ The Master Are 3 Additional Bedrooms, 2 Baths, And Laundry Room. MLS#8540771. Reliant Realty Inc.. Call Today For More Information And An Appointment With The Agent MLS#8540772. Reliant Realty Inc..
Also Upstairs Are 3 Secondary Bedrooms And The Laundry Room MLS#8540773. Reliant Realty Inc.. Call Today For More Information And An Appointment With The Agent MLS#8540770. Reliant Realty Inc..
Hamilton Mill - This Home Will Not Last Long! MLS#8536965. Atlanta Communities. This Is A Very Unique Opportunity With Two Houses On One Property! MLS#8533727. Algin Realty, Inc..
Windsong Park - Roof Only 2 Years Old And Water Heater 1 Year Old. MLS#8530327. Greater Athens Properties. Perfect Location And Lots Of Traffic. MLS#8530261. Virtual Properties Realty.Com. Harbins Landing Estates - Call The Agent For Showing Today, This Home Will Not Last Long. Priced To Sell! MLS#8525744. The Homestore. Hamilton Mill - Optional Owner'S Bath With Tub And/Or Enlarged Shower. Sample Images. MLS#6503922. Chafin Realty, Inc..